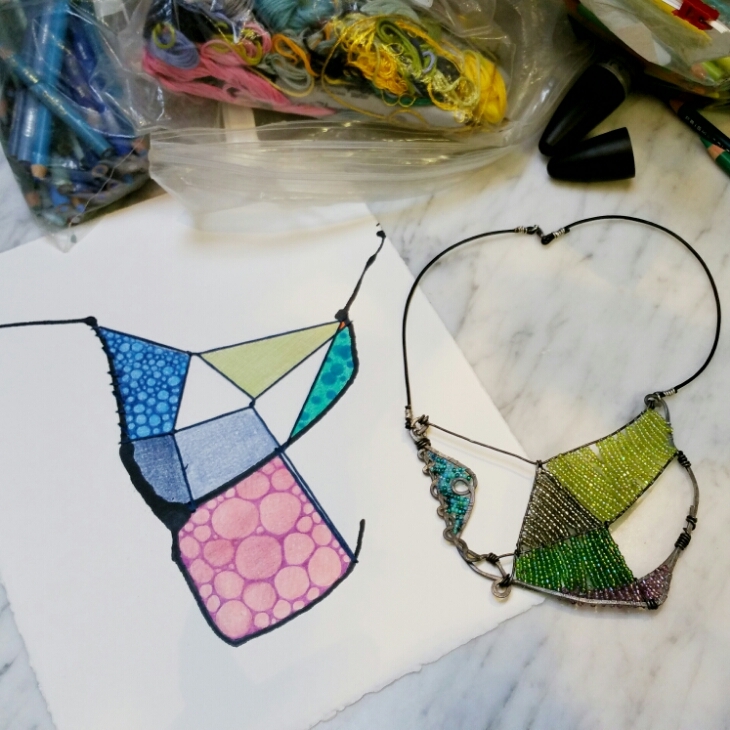 Embroidered drawing inspired the beaded necklace, which in turn inspired more details on the drawing. The symbiotic relationship of working with different materials keeps me forever engaged. Thanks for visiting my site. It was great to see your amazing abstract necklaces.